 Margins matter. The more Universal Truckload Services (NAS: UACL) keeps of each buck it earns in revenue, the more money it has to invest in growth, fund new strategic plans, or (gasp!) distribute to shareholders. Healthy margins often separate pretenders from the best stocks in the market. That's why we check up on margins at least once a quarter in this series. I'm looking for the absolute numbers, so I can compare them to current and potential competitors, and any trend that may tell me how strong Universal Truckload Services' competitive position could be. Here's the current margin snapshot for Universal Truckload Services over the trailing 12 months: Gross margin is 23.1%, while operating margin is 3.5% and net margin is 2.3%. Unfortunately, a look at the most recent numbers doesn't tell us much about where Universal Truckload Services has been, or where it's going. A company with rising gross and operating margins often fuels its growth by increasing demand for its products. If it sells more units while keeping costs in check, its profitability increases. Conversely, a company with gross margins that inch downward over time is often losing out to competition, and possibly engaging in a race to the bottom on prices.  If it can't make up for this problem by cutting costs -- and most companies can't -- then both the business and its shares face a decidedly bleak outlook. 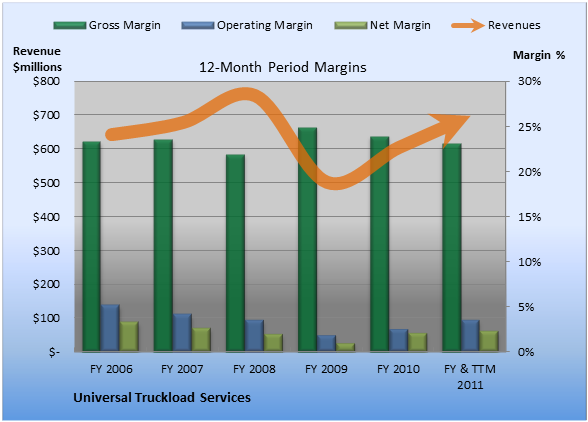 Here's the margin picture for Universal Truckload Services over the past few years. Over the past five years, gross margin peaked at 24.9% and averaged 23.5%. Operating margin peaked at 4.1% and averaged 3.1%. Net margin peaked at 2.6% and averaged 2.0%. TTM gross margin is 23.1%, 40 basis points worse than the five-year average. TTM operating margin is 3.5%, 40 basis points better than the five-year average. TTM net margin is 2.3%, 30 basis points better than the five-year average. 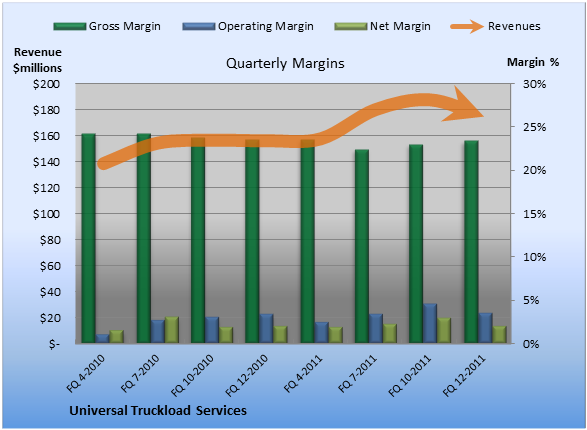 With recent TTM operating margins exceeding historical averages, Universal Truckload Services looks like it is doing fine. Can your retirement portfolio provide you with enough income to last? You'll need more than Universal Truckload Services. Learn about crafting a smarter retirement plan in our free report: "The Shocking Can't-Miss Truth About Your Retirement." Click here for instant access to this free report.